Alexander Lukashenka thanks Latvia for advocating the lifting of EU sanctions and its attitude towards the Belarusian nuclear power plant (NPP). New heads of the leading state media outlets appointed to modernise media policy, make media more competitive and introduce more local content. Lukashenka admits to defence ministry failures in information and ideological work. Belarus works to make its tourist infrastructure China-friendly. The authorities plan to create the traditional festive atmosphere during the local elections on 18 February. However, local councils in Belarus remain little more than voluntary social work and attract little competition. This and more in the latest Belarus state press digest. Lukashenka also expressed his gratitude to the Latvian Prime Minister for Latvia’s active promotion of the lifting of sanctions against Belarus, including during its presidency of the EU Council. Now Riga looks equally constructive in its approach to the construction of the Belarusian nuclear power plant, he noted. Lukashenka admits to the failures of the defence ministry in information policy. On 13 February, the Security Council held its first meeting dedicated to summing up the work of the military and security agencies in 2017. The meeting particularly considered the problems and achievements in the military sphere, writes Belarus Segodnia. Lukashenka mentioned that some ‘unexpected statements’ came from foreign partners regarding the Minsk agreements, but it is obvious to everyone that no real alternative exists today. New heads of the leading media tasked to modernise media policy. The president appointed new leadership to three national official media organs, reports Belarus Segodnia. Ivan Ejsmant became the chairman of Belteleradiocompany, Dzmitry Žuk – editor-in-chief of the newspaper Belarus Segodnia, and Ihar Lucki – general director of the STV television channel. Lukashenka said the main mass media in Belarus require changes and urged them to adopt the best foreign practices, especially noting the quality of Russian television. The new leaders each told Belarus Segodnia what the president expects from them. Belarus works to make its tourist infrastructure China-friendly. In December 2017, the prime ministers of Belarus and China during the Council of Heads of Government of the Shanghai Cooperation Organisation declared 2018 the Year of Tourism of Belarus in China. In 2017, Belarus received about 20,000 Chinese tourists, but this figure could be higher, says the deputy minister for sport and tourism, Michail Partnoj. To attract more Chinese travellers, the country has to resolve a couple of basic problems: ensure visa-free entry and introduce more convenient logistics. For example, today flights from Beijing to Kiev and Moscow cost at least 250-300 dollars less than flights to Minsk, informs Respublika. At the moment, Belarus has trained 15 Chinese-speaking guides, introduced Chinese information in the arrivals hall of Minsk National Airport, produced Chinese audio guides for the main tourist sites, and made some other steps to make Belarus China-friendly. Chinese visitors take most interest in the communist legacy in Belarus, particularly related to the Russian Social Democratic Labour Party, the disintegration of the Soviet Union and World War II. Local councils in Belarus remain a kind of voluntary social work. While in most of the Minsk city constituencies five or more candidates compete for a council seat, in the countryside the competition remains scarce, reports Narodnaja Hazieta. Even at the level of regional councils many constituencies go uncontested. Political analyst Aliaksandr Špakoŭski explains this with a mere fact that the deputies serving on local councils do not receive a salary or any other benefits. Essentially, they perform a kind of social work. Besides, unlike in the parliament, local councils do not make real political decisions. Špakoŭski calls for a review of the legislation on political parties and to think about creating mechanisms for public funding of parties, including national funds, which will be engaged in the support and development of constructive parties. It is necessary to develop the political space, but the authorities should not grant power to institutions that have no support within the society, that is – the currently weak political parties. The authorities will create a festive atmosphere during local elections on 18 February. According to Siarhiej Konanaŭ, first deputy chairman of the Žodzina City Executive Committee, retailers and catering facilities will offer their products and services at polling stations. The authorities strive to not only get the people’s votes but offer them entertainment and music, writes Zviazda. Children will be able to feast with ice cream, biscuits and juice. The neighbouring Smaliavičy district will also create a festive atmosphere with performances of local music bands. On the same day, the holiday of Maslenitsa (Slavic Carnival) will be held on the central square. Residents of the area will be able to enjoy pancakes, as well as participate in games and contests. The state press digest is based on a review of state-controlled publications in Belarus. Freedom of the press in Belarus remains restricted and state media primarily convey the point of view of the Belarusian authorities. This review attempts to give the English-speaking audience a better understanding of how Belarusian state media shape public opinion in the country. EU support in Belarus reaches record-breaking €29m annually, of which a vast majority of funds goes to the state, according to the New Ideas Centre. Yauhen Preiherman talks about the prospects of a new Helsinki-2 process. Aliaksandr Klaskoŭski analyses the results of the visit to Belarus of the European Commissioner Johannes Hahn. Artyom Shraibman examines the Regnum case. Keir Giles identifies lessons of September 2017’s Russian-Belarusian Zapad military exercise. Tatsiana Kulakevich explains why authoritarian Belarus liberalises cryptocurrencies. How Much We Have And How Much We Can Have from EU – Anton Radniankou, New Ideas Centre, analysing the grants and politics, concludes that the EU is working on the “Europeanisation” of Belarus through the involvement of the elites in the joint projects, but not putting an ultimatum regarding human rights. Thus, the growth of donor support reached record-breaking €29m per year, and the vast majority of funds goes to the state. European Security Requires a New Helsinki Process (re-posted by Sovetskaya Belorussiya newspaper) – Analyst Yauhen Preiherman talks about the prospects of the initiative to launch a new European Helsinki-2 negotiation process. He tells about the Minsk Dialogue expert initiative, which monitors the pain points in the security system, and, most importantly, creates the institutional capacity that will help solve the existing problems. Why Lukashenka Wants a Strong European Union? – Aliaksandr Klaskoŭski analyses the results of the visit to Belarus of the European Commissioner Johannes Hahn. Namely, Alexander Lukashenka has shown himself to be a greater supporter of a strong EU, than other EU politicians. However, the journalist believes that the Belarusian regime is far from the European values; it just needs space for manoeuvre. Russia Hit Multiple Targets with Zapad-2017 – Keir Giles, at Carnegie Endowment, identifies lessons of September 2017’s Russian-Belarusian Zapad military exercise. The analyst sees the real value of Zapad-2017 in understanding how Russia is considering responding to perceptions of threat. Critically, this includes recognising the vulnerability of its relationship with Belarus, which remains one of the many potential triggers for offensive action by Russia. The Case of Pro-Russian Publicists. Five Conclusions Before the Verdict – On 2 February, a verdict will be rendered in the case of the authors of Regnum, accused in anti-Belarusian propaganda. Artyom Shraibman, TUT.by, believes that this is one of the most important political trials of recent years. The Belarusian authorities seem to have learned to see the threats to national security; however, they still have troubles with a proportionate and relevant response. Why Would Authoritarian Belarus Liberalise Cryptocurrencies? – Tatsiana Kulakevich, The Washington Post, explains a decree adopted in December in Belarus to legalise cryptocurrency transactions. The author notes that if Belarus’s bold experiment with cryptocurrency takes off, there may be greater demand for legal and financial reform from other sectors – and this could weaken the authoritarian regime. Economic Outlook. Third Quarter 2017 – According to the quarterly BEROC’s overview, growth slowdown signals are amplified; the consumption growth is subsiding; the growing return on capital can revive investment demand; the inflation is drifting to the price stability zone; the public debt structure is changing, and real wages are growing, but the real well-being is stagnating. Annual Review 2017: Civil Society and Political Parties Moved Beyond the Oppositional Agenda – According to Belarus in Focus’ review, civil society and the opposition attempted to use the window of opportunity and engage new supporters among those discontent with the state’s socio-economic policy. Yet civil society and the opposition have not formed a critical mass of active supporters of change to promote systemic reforms. 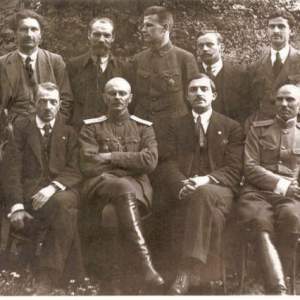 Belarus: Paradoxes of National Memory and Freedom of Speech – Grigory Ioffe overviews the preparations by both the opposition and authorities to the centennial of the Belarusian People’s Republic (BPR) proclaimed on 25 March 1918. The analyst notes that civic nationalism as a platform for broad-based consensus about Belarus’s statehood has a minimal confrontational potential. Toward a ‘healthy’ nationalism. BISS research on the national identity policy. The ‘soft Belarusianisation’ that is currently underway in Belarus is the result of the convergence of actions of three types of actors: social activists, business and the Belarusian authorities. The motives of each of them may be different, but they all add up to the same effect. The Russia-Ukraine conflict accelerated, but not generated, Belarusianisation. Preconditions for this process had emerged over the previous decade, and the government began to appeal to national values in 2011-2012. 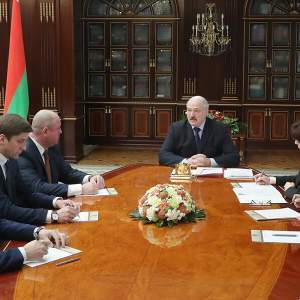 President Lukashenka is personally interested in having the idea of independence of Belarus become the main imperative for every citizen, especially for officials. Loyalty to Belarus is a necessary condition, though not sufficient one, for loyalty to his regime. The role of labour in the penitentiary system of Belarus. The presented report aims to describe the existing penitentiary system in Belarus in terms of its labour component. Labor is at the heart of the penal system of the Republic of Belarus. The authors propose to study the role of labour in the law enforcement system of Belarus taking into consideration its three functions: prevention, correction and reintegration. The report assesses the nature and parameters of the labour market in the penitentiary system, examines the importance of the employment after the release of a prisoner and before entering the correctional facility.